I’ll eventually get to where I started out with this exploding little paradise but for now here are a few snaps of what’s currently going on! A favorite of mine is working the land…not so great at doing it now as I don’t have land to work. 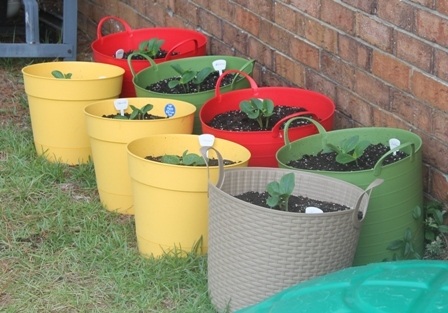 BUT don’t feel left out…if you too are confined to small living quarters and don’t have room (or permission) to go dig up your back yard, then I give you FULL permission to get a bucket, planter, bin, or whatever it takes! 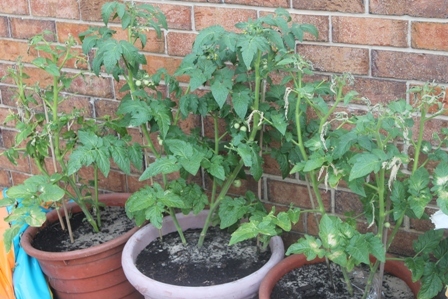 Drill (or cut lol) holes in the bottom, fill it with soil and fertilizer, seed, and let mother nature do the rest. I’m big girl enough to know it won’t completely stock my freezer for the summer (well with the tomatoes there’s potential), but I’ll have MANY nights of fresh salad fixings, and other veggies. 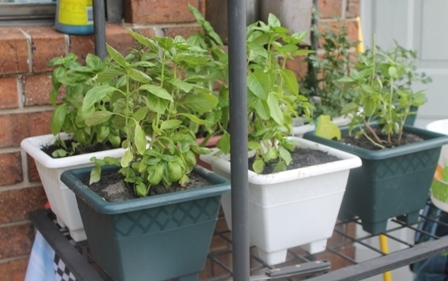 I started out with the little jiffy seed starting kits and despite the green thumb I proclaim to have, it was an absolute flop…TWICE. 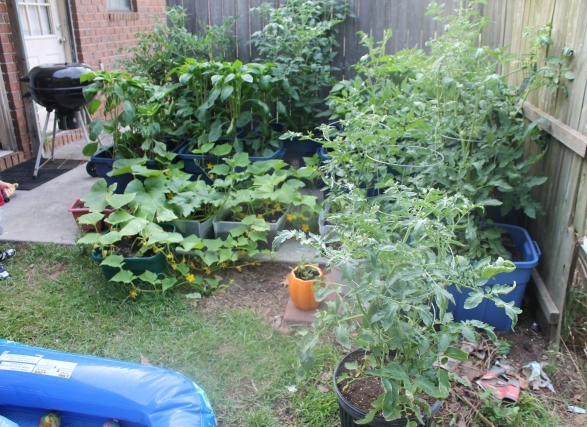 Never mind all of that: I then resorted to getting actual plants. 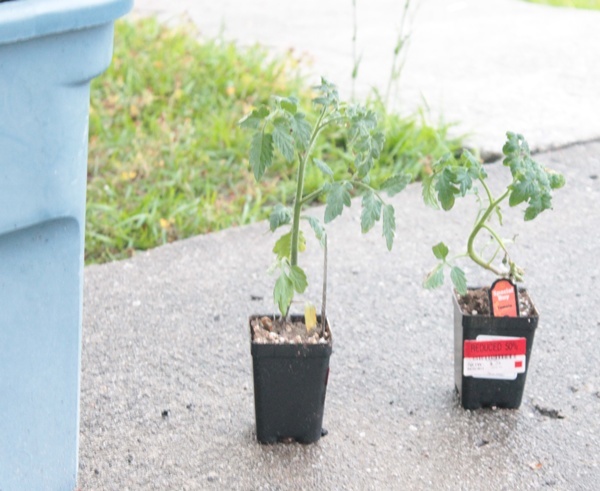 One day while cruising walmart garden center, they had loads of single tomato plants for $0.25 each!!! Snagged up 8 of those babies! 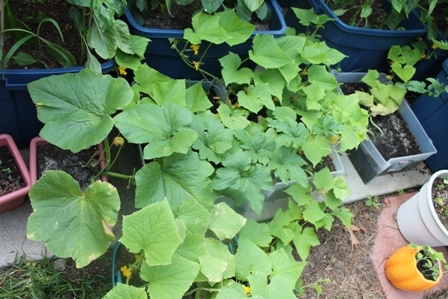 This was when I first started, not everything is pictured here – there are cucumber plants against the brick wall and I later added squash & zucchini. 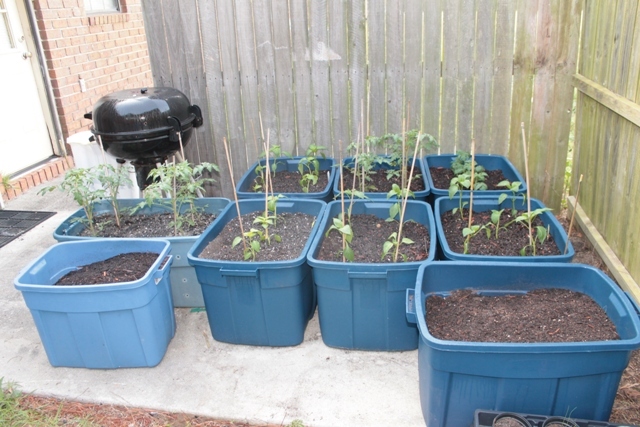 Right here are tomato, bell pepper, sweet banana pepper, and cherry tomato plants. 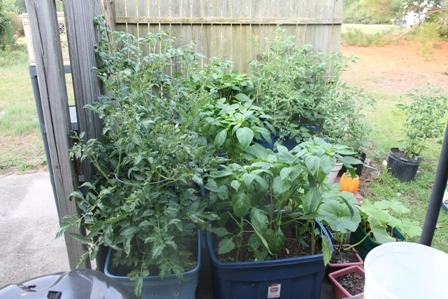 I also have herbs (flat italian parsley, greek oregano, cilantro, and basil) that are in ‘another corner’.